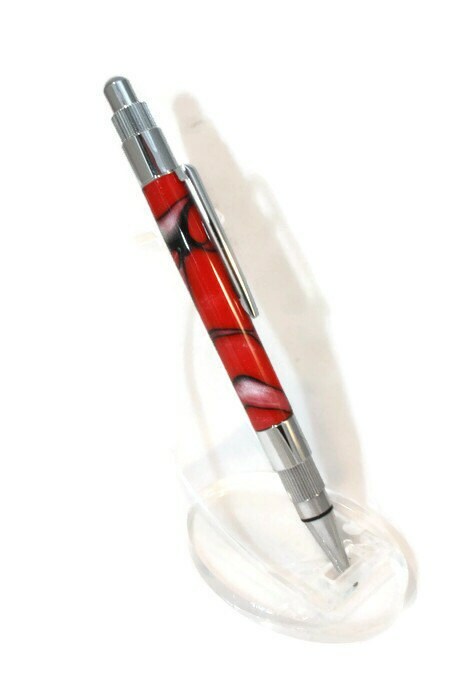 Handmade Acrylic 'Click' Ballpoint Pen. 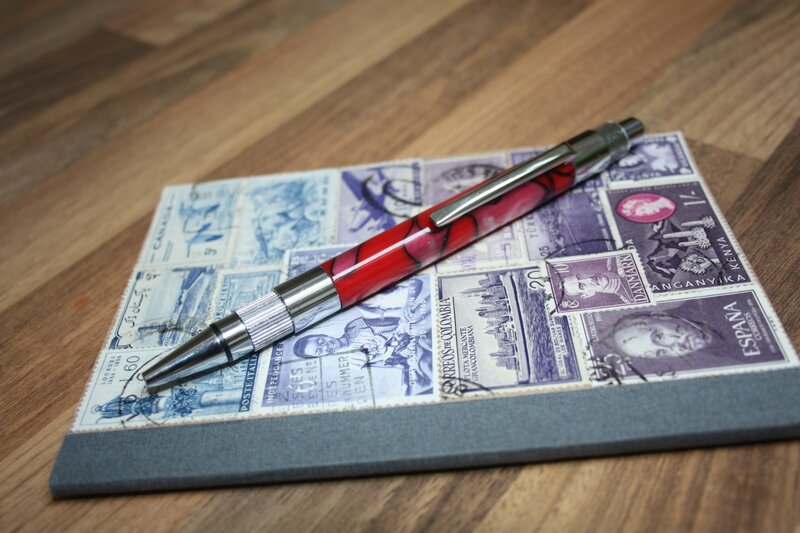 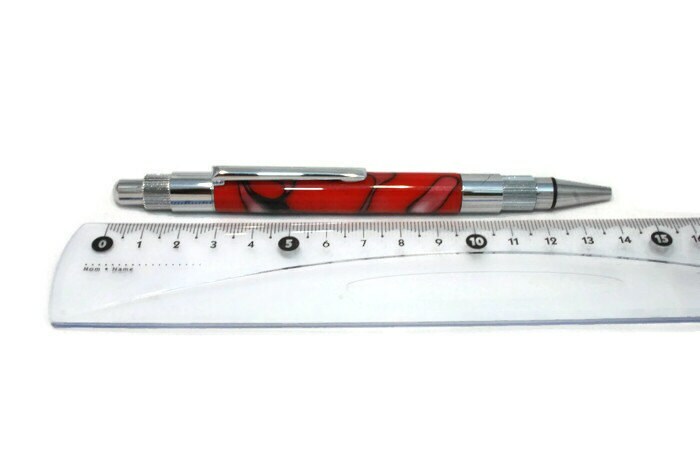 This handmade ballpoint pen features a smooth 'click' mechanism to retract the nib and has been handmade from a solid piece of coloured acrylic resin. 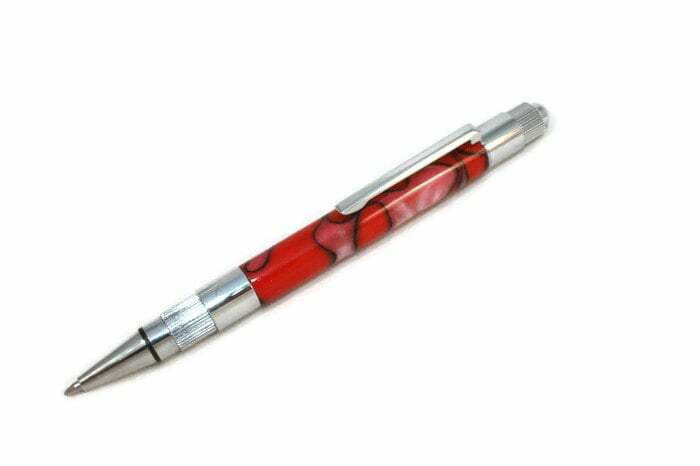 - Handmade 'click' action ballpoint pen in a red, white & blue acrylic. 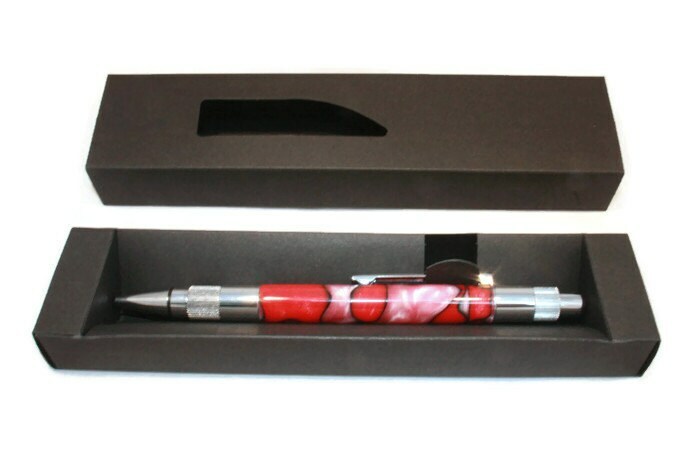 - The pen Takes a Parker-style refill and comes with black ink as standard.